Coffee Can Help You Live Longer! Coffee has been associated with many possible benefits, such as liver health, the enhancement of physical performance, and improved cognitive function. But a longer life? The data is in and it is GOOD NEWS for those who love their morning cup o' joe. Related - Drink Coffee and Live Longer? But by how much? A whopping 2/3rds decrease in premature death has been reported when consuming four cups per day. There was a 22 percent drop in those that drank two cups. But why? Coffee is the primary source of antioxidants in the American diet. It has been associated with many possible benefits. These antioxidants, consumed consistently day in and day out since coffee is somewhat a ritual to most, now have science to back up their empirical claims of enhanced health. Click here to order Pachamama Peruvian Coffee now. It would be nearly impossible to do a lab-controlled, long-term study on coffee. By looking at other studies, decaffeinated versions had similar effects so we can logically conclude that it is the antioxidants and diterpines (naturally present in coffee and liked to heart health and cholesterol control) that are causing this benefit. This study tracked individuals up to 14 years. But how do you get the most out of your coffee? Only buy organic and free trade: The coffee business can be terrible. Underpaid and impoverished workers. Low quality soil. Organic and free trade ensure this is not an issue. Only buy single-source from a "natural" region: The soil is key, as is the atmosphere. The Andes in Peru is known as a GREAT place to get the best coffee. If multiple-source, who knows what you are drinking? To make this easy, we now carry Ambrosia Pachamama coffee. 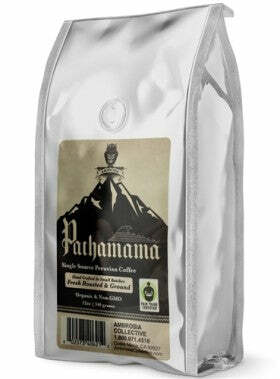 Pachamama coffee is found in the highest peaks of the Andes mountains, 3000-6000 feet above sea level. Far from the pollution and distractions of modern life, these beans are pure, like the Goddess they are named after. It is single-sourced, organic, and from the region where the best coffee in the world is grown. Don't listen to the naysayers. Enjoy your coffee and if possible get a superior single-source coffee to reap the most benefits. You might just add some years to your life! 1) "Higher Coffee Consumption Associated with Lower Risk of Early Death." ScienceDaily, www.sciencedaily.com/releases/2017/08/170827101750.htm. 2) "Drinking More Coffee Can Lead to a Longer Life, New Studies Say." CNN, www.cnn.com/2017/07/10/health/coffee-leads-to-longer-life-studies-reaffirm/index.html. Previous article Can Drinking Alcohol Sabotage Your Weight Loss? 4 cups a day seems like a lot. Those benefits though!